Based on true events, teenage sisters, Bessie and Jo, paint glow-in-the-dark watch dials at the American Radium Factory in New Jersey, in the late 1920’s. When girls mysteriously begin to fall ill, Bessie Cavallo stands up to the corporation in a radical coming of age story. Based on true events of the late 1920’s, teenage sisters, Bessie and Jo, dream of faraway places as they paint glow-in-the-dark watch dials at the American Radium Factory in New Jersey. When Jo loses a tooth, Bessie’s world is turned upside down as a mystery slowly unravels. Bessie meets a group of young Communists and a powerful advocate in the Consumers League who inspire her to take action when she discovers a corporate cover up –the factory women were being poisoned while they worked. 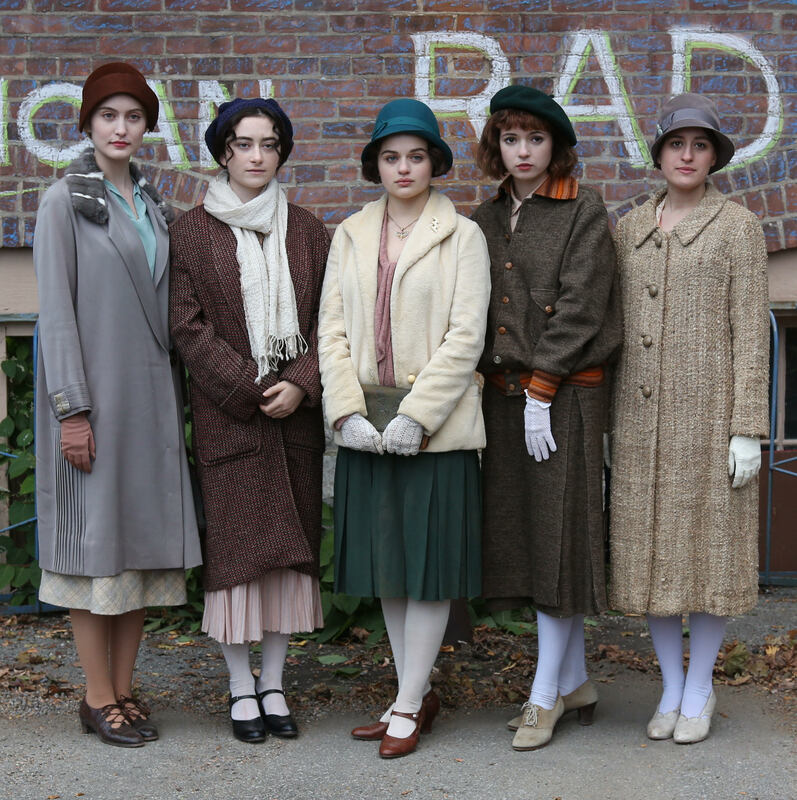 In a radical coming of age story, Bessie and the Radium Girls file a lawsuit against American Radium. The notorious case ultimately led to a lasting impact in the area of workplace health and safety and the study of radioactivity. Ginny Mohler is a Brooklyn based writer and director. Radium Girls is her first feature film. She has a BFA in Film & Television from NYU Tisch School of the Arts. Her writing, story producing and research work on historical docudramas fueled her passion for untold history in narrative storytelling. Lydia Pilcher is an American film and television producer and founder of Cine Mosaic, a New York based production company focused on entertaining stories driven by themes of cultural perception and understanding. Pilcher has produced over 35 feature films that recently include Disney’s Queen of Katwe (dir: Mira Nair), The Immortal Life of Henrietta Lacks (dir: George Wolfe) in collaboration with Harpo Productions and HBO Films, and the upcoming feature, Radium Girls, which she produced and co-directed with Ginny Mohler. She is currently producing, Two Brothers with award-winning Iranian director, Bahman Ghobadi.